All good things come to end! 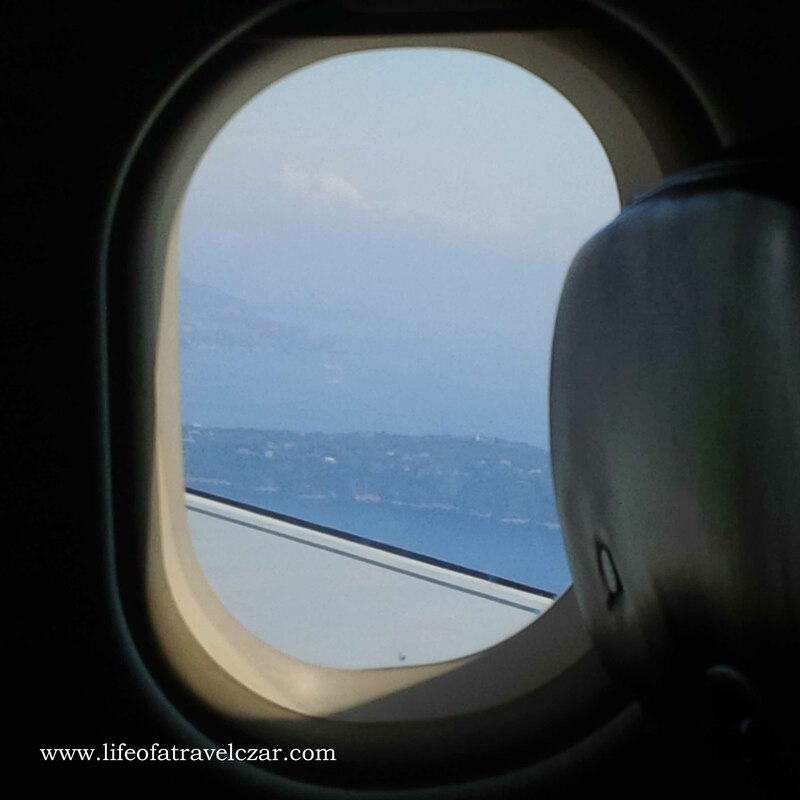 When you’re plane lands at an airport, the sheer sadness of not being in the sky is heartbreaking! When you’ve just finished that amazing degustation dinner and you’re left staring at an empty plate… you feel an emptiness in your soul. 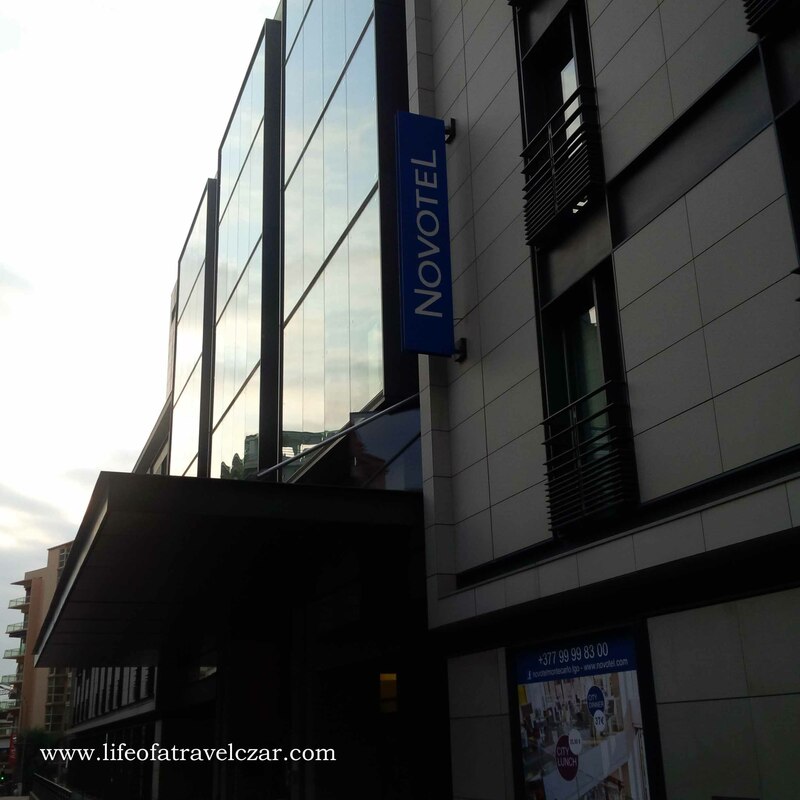 Now my trip to Monte Carlo has come to an end… the view from my hotel will be a distant memory etched into brain cells, the taste of fine dinner at Le Louis XV, a mere residue on my taste buds, the beautiful view of the blue gaze of Mediterranean Sea a mere collection of photos. It is a very sad day for me. 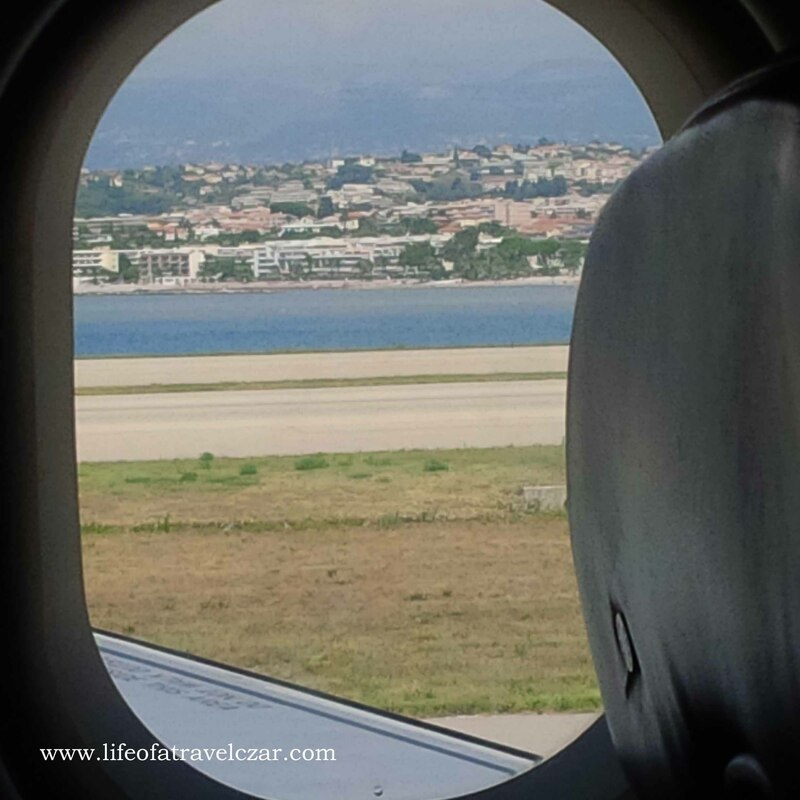 My heart and soul belongs in Monte Carlo. I look at view from my hotel and decide to paint an expression of my love for this city. 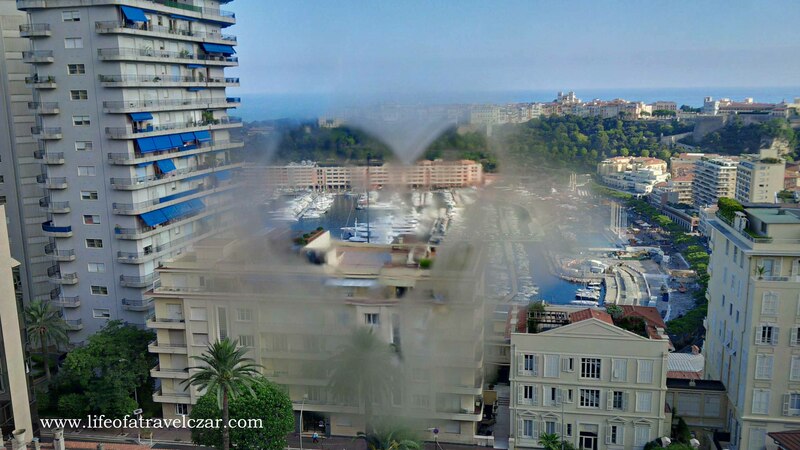 I am so sorry for the hotel staff who had to wipe away the mist and my fingerprints on the window and my love heart shape thingy… so sorry guys :(. – pretty slack of me. Anyway, I make it down for breakfast, which is always oh so beautiful at this place. 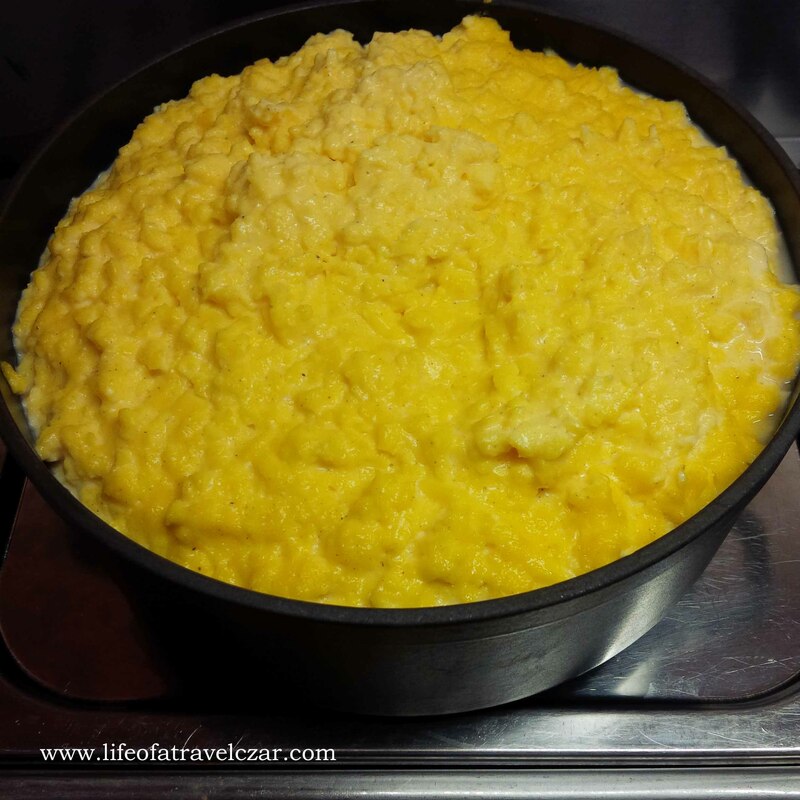 The scrambled eggs in a cast iron pot are simply delicious for a buffet breakfast. 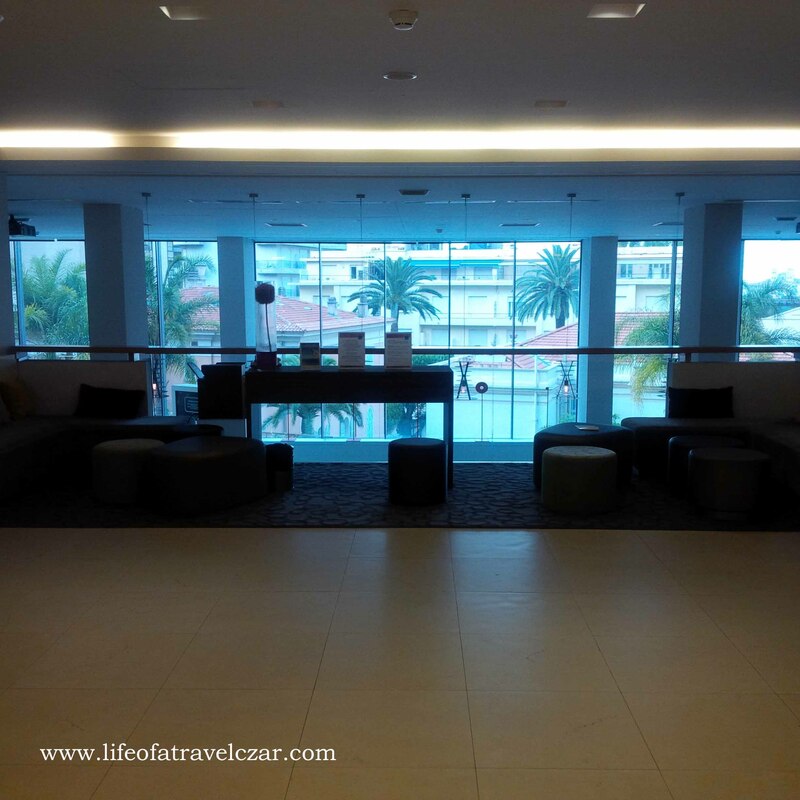 I farewell the hotel lobby and wave goodbye to the staff! It is such a sad experience. 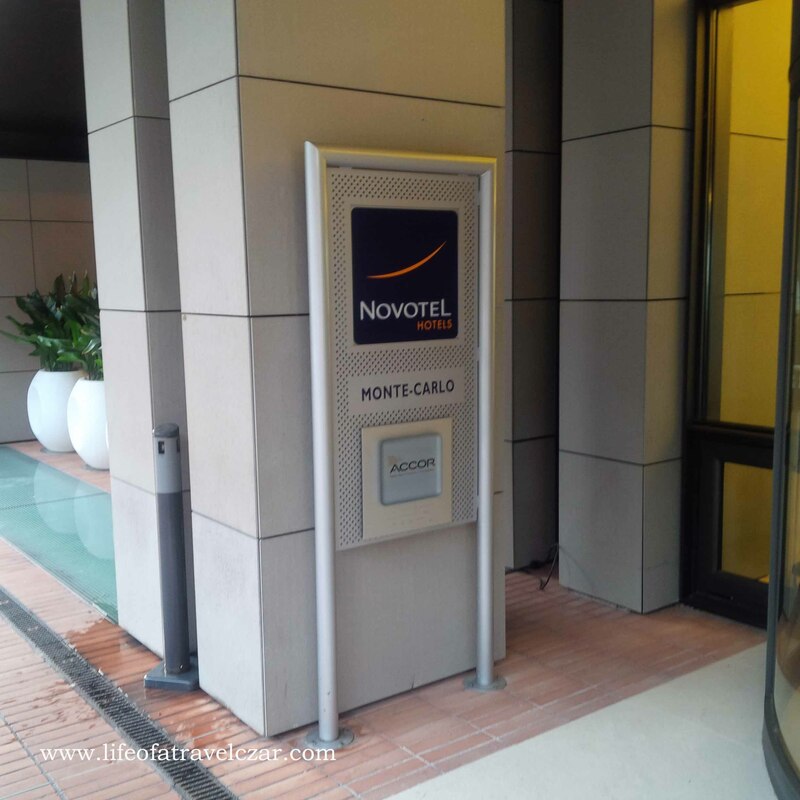 Novotel Monte Carlo – you have been amazing! I say goodbye to the lobby and I’m off! 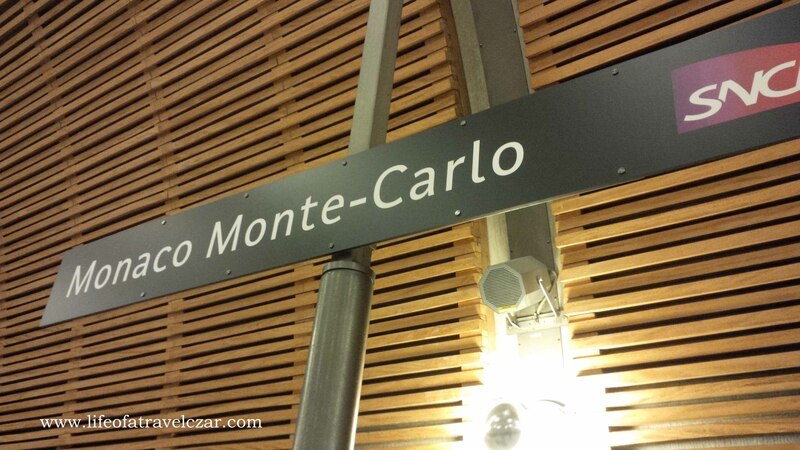 The last sign of Monte Carlo – I am off to Nice Cote Azur Airport to catch my flight. 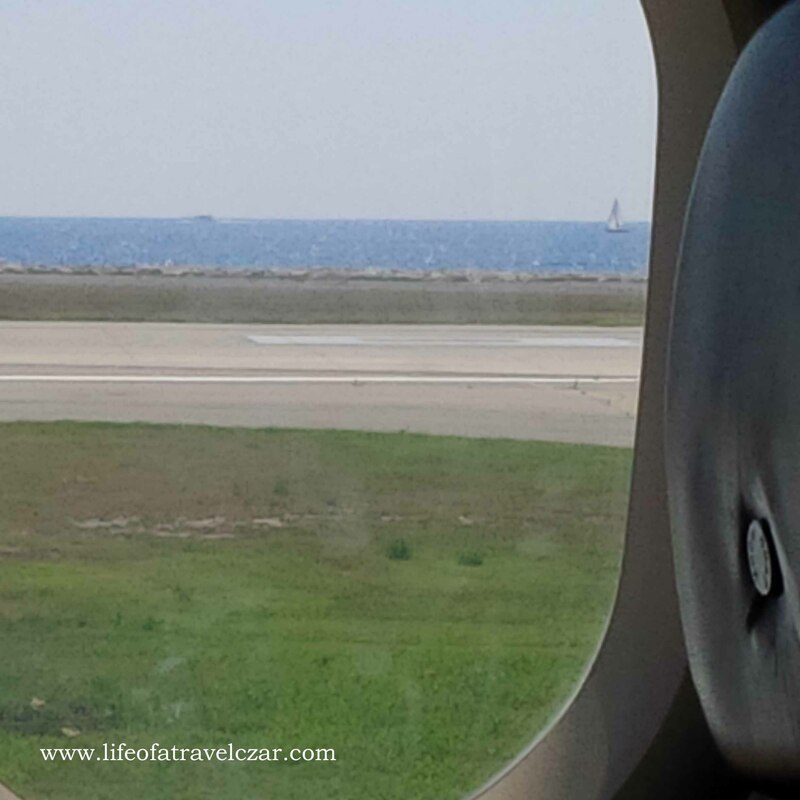 The view from the plane overlooking the Mediterranean! 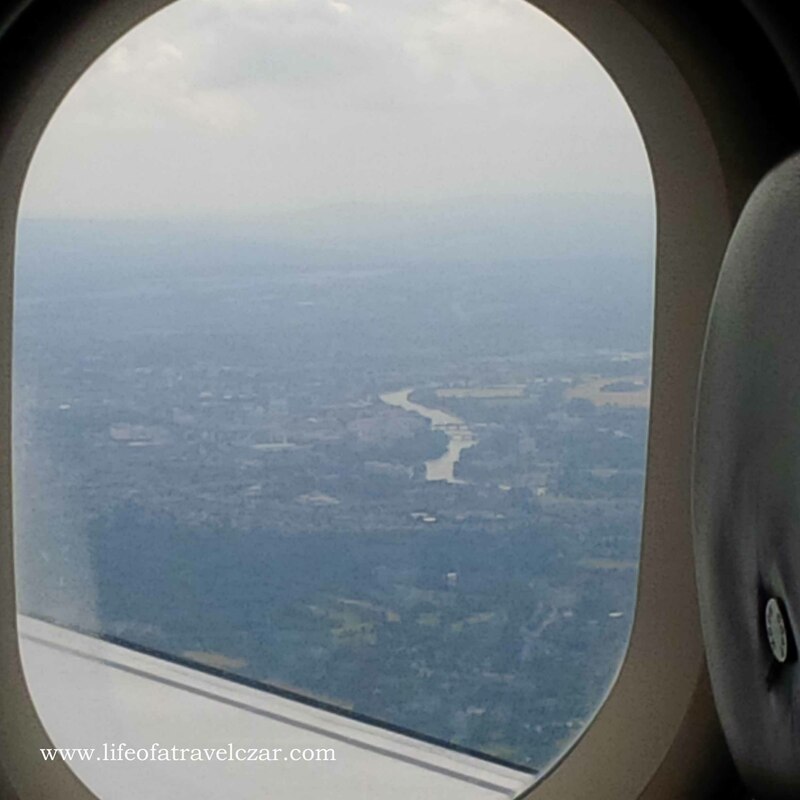 This has to be the most beautiful runway in the whole wide world!! 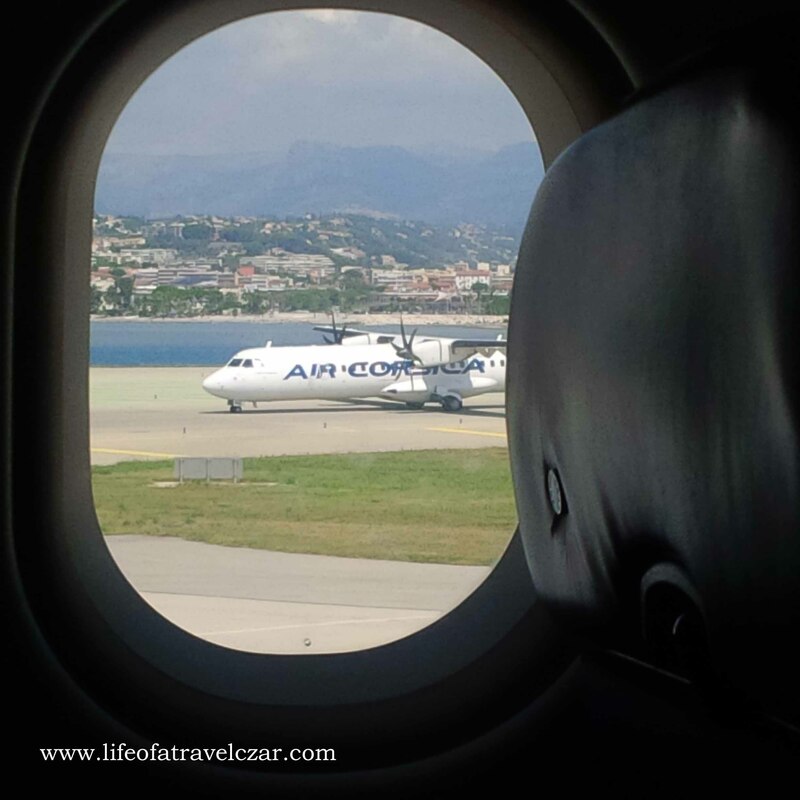 We have goodbye to the French Riviera as our plane glides above the rocky cliffs and calm blue seas.